It's Earth Day weekend and we're celebrating with loads of fun freebies – for you! 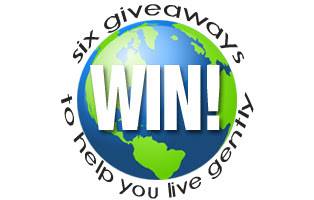 We've teamed up with some of our favourite bloggers and manufacturers to bring you the chance to win fantastic prizes in six different green giveaways, all in honour of Earth Day. Each one features information and/or personal reviews about our top eco products for going green. Here they are – in no particular order – best of luck!